Vijayawada Corporator has caught fire accidentally today while protesting on the comments made by YS Jagan on Andhra Prades Chief Minister. Mr.Jasti Samasiva Rao, is a corporator in Vijayawada for 8th Division. While protesting with “Disti Bomma”, the fire caught accidentally. 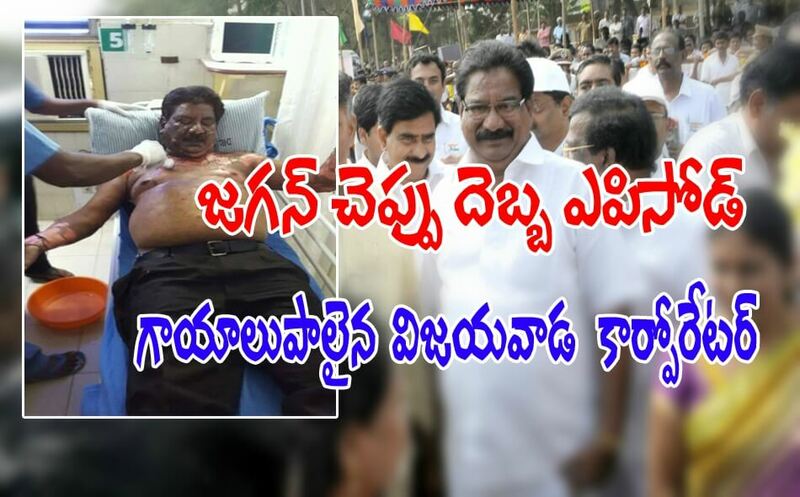 TDP workers are saying that, due to over action of police, the fire has caught on Mr.Sambasivarao accidentally.